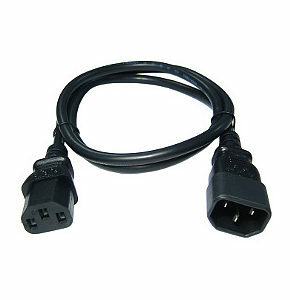 0.5m IEC Extension Cable, IEC Male to IEC Female (kettle style). Ideal for extending an existing IEC mains lead, just plug the IEC extension lead onto your existing IEC power cable to make it 0.5m longer. 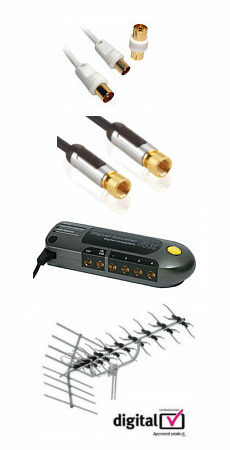 5m Angled Figure 8 Power Lead - Power Cable, UK 3 pin plug to figure 8 connector. Voltage rating 240V AC. Cable type, 2 Core. 90 degree angled fig 8 C7 connector. Colour Black. Length 5m. 2m White IEC Power Cable, UK 3 pin plug to IEC 3 pin plug (kettle style). Voltage rating 240V AC. Cable type, 3 Core. Colour white. Length 2m. Current rating 10A.